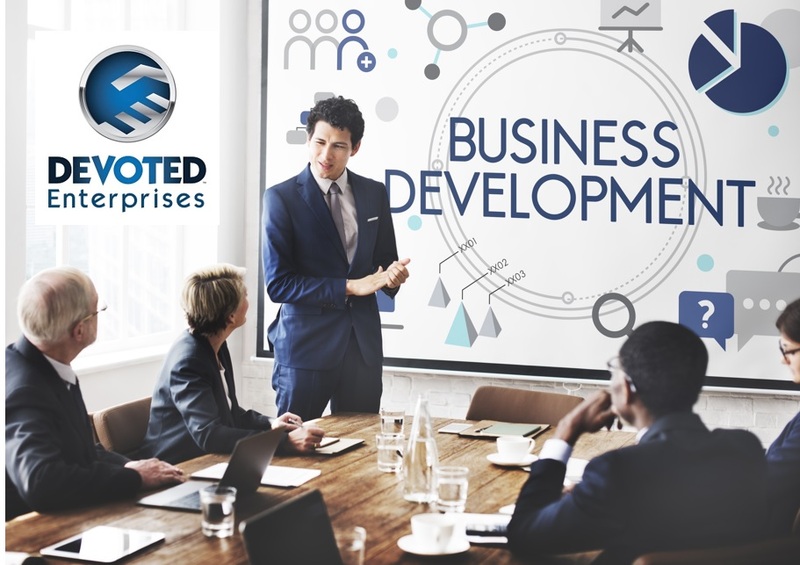 Business Development - Devoted Enterprises Inc. Most people think that they cannot afford the marketing and advertising that is necessary to grow their business to the level that that desire. That cannot be further from the truth. In fact, most of the time in this day and age, you can get more traction with new customers doing many of the free things that are available to you at your fingertips than you can spend a ton of money on a marketing and advertising campaign that will certainly get lost in the shuffle of the 3,000 messages that the average person gets bombarded with daily. We are certain that we can help you grow your business and make more money without spending tons of money on advertising. All you have to do is let us prove it to you.